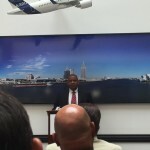 On August 20th, 2015, U.S. Secretary of Transportation Anthony Foxx visited Mobile, Alabama for the first time since his appointment to see Coastal Alabama’s transportation issues first hand. 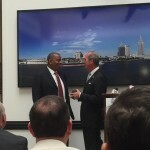 Hosted by the Mobile Area Chamber of Commerce and in partnership with Congressman Bradley Byrne, Secretary Foxx met with local leaders from Mobile and Baldwin counties to discuss local, state and national transportation issues and infrastructure needs. Local and State elected officials in attendance included Mayor Sandy Stimpson, Mayor Dane Haygood, Mayor Troy Ephriam, Mayor Bob Wills, Mayor Michael McMillan, Mayor Tim Kant, Mayor John Koniar, County Commissioner Tucker Dorsey, County Commissioner Connie Hudson, County Commissioner Jerry Carl, County Commissioner Chris Elliott, State Representative Margie Wilcox, State Representative David Sessions and State Senator Bill Hightower. Secretary Foxx briefed local leadership on the current challenges of our nation’s infrastructure. The two main problems we have as a nation are 1) aging infrastructure in the Northeast and Midwest (including tunnels that are over 105 years old) and 2) a growing population that is moving to the Gulf Coast. These problems are further crippling due to the shortfall in funding of the highway trust fund by $15 billion and the lack of a long range federal highway bill. 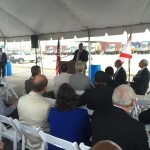 “Uncertainty is choking our country” said Foxx. 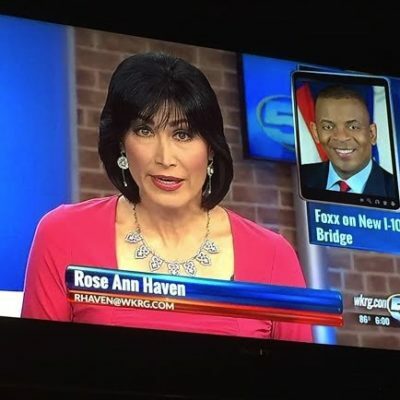 In his closing remarks, Secretary Foxx reiterated the FHWA’s goal to increase connectivity and opportunities through this project and others throughout the nation. 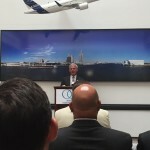 He acknowledged that this is not just a Mobile Issue but a regional issue and was encouraged by the community consensus around the I-10 Bridge project. According to the Secretary, having the elected officials work together is a huge step forward. This consensus was highlighted during Coastal Alabama Partnership’s (CAP) elected officials’ trip to Washington D.C. last fall which partly prompted Congressman Byrne’s request for Secretary Foxx’s visit. Since that trip, CAP has been working closely with our elected leadership, Build the I-10 Bridge Coalition and Congressman Byrne’s office to continue to speak with one voice in favor of the I-10 Bridge project. CAP would like to thank Secretary Foxx for committing FHWA’s focus to figuring out ways to move the I-10 Bridge project forward and to Congressman Byrne for his continued support of this project, among many others in Coastal Alabama, on Capitol Hill. In addition, we would like to thank our local elected officials whose collaboration and dedication are truly the driving force behind the project’s progress to date.